Iron is an element, which is most found in the womb of the earth. In India, it is used since ancient times. During the time of Maharshi Charak, iron was used to create medicine. Iron is the basis of the present life. Iron stays as hemoglobin form in the body. Iron is usually associated with Shani. Because of its property and effects, it is considered as Shani’s element. Iron is donated to overcome Shani’s distress. One can also eat food in iron plate to get rid of Shani’s distress. Iron ring is held to cool the Saturn’s anger. Shani can be strengthening by using iron. Wear iron ring to strengthen Shani. Use iron utensils. Donate iron stuff to cool the Shani. Donate light in iron Deepak. Shani’s grace meets easily by keeping iron door. Shani is the magistrate of the planet. He gives benefits based on good-bad Karma. Shani cannot create problem without any reason. One faces problems due to wrong actions. Shani is just the medium of creating problem. One faces nerves problem and long diseases. A person gets delay in his every work. He faces problems in job and employment. 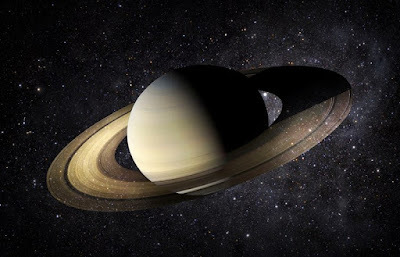 These problems stay during Sade Sati and Dhayya if it starts during this time. Shani dominates iron. Iron ring controls Shani’s power. This ring is not normal iron. This ring is made from horseshoe or boat cleat. It reduces many problems of Shani. Do not keep it in fire. First, worship lord Shiva or Krishna on Saturday. Chant Shani’s psalm in evening. Pour water in the roots of peeple tree. Light mustard oil lamp under it. Feed any poor person. Take iron ring on any day except Saturday. Keep it in mustard oil on Saturday. Wash it water and clean it in the evening. After that, chant “Om Sum Shaneswaraye Namah”. Wear it in the middle finger. You will get rid of Shani’s problem.